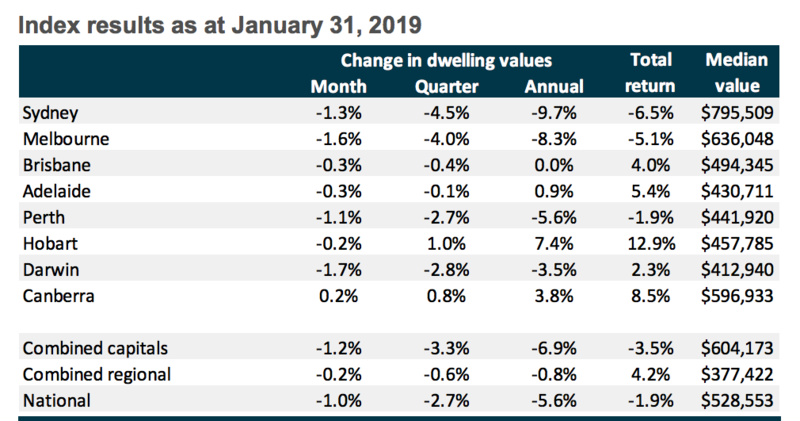 Australia's weakening housing market continues to be led by its two largest cities Sydney and Melbourne, where values have fallen by at least 1 per cent on a monthly basis each month since November last year. The latest Corelogic results take Sydney dwelling values back to July 2016 levels, two-and-a-half years ago. While Melbourne's market peaked four months after Sydney, its values are now back to January 2017 levels. 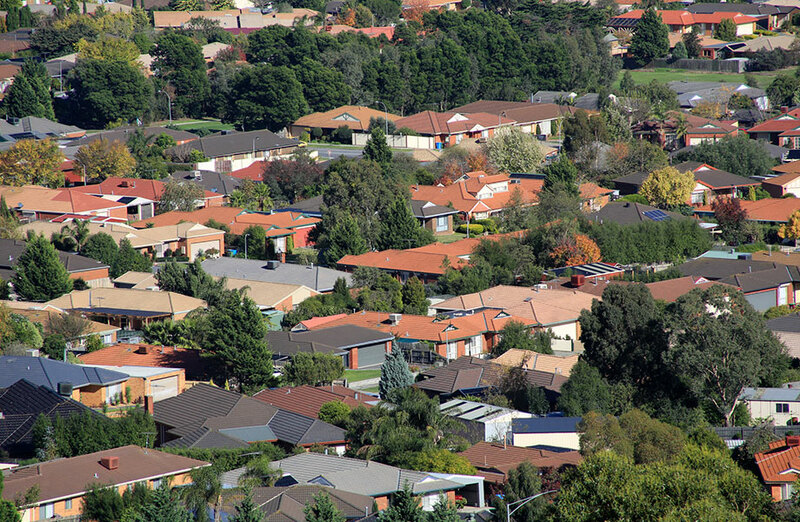 Every capital, apart from Canberra, recorded a month-on-month fall in dwelling values. The latest figures join the chorus of housing market commentary. Last week NAB said it anticipates house prices to decline further over the next year or so, with peak-to-trough falls of around 15 per cent in Melbourne and Sydney. And in his latest market update AMP chief economist Shane Oliver revised his forecast lower to total falls of 25 per cent, from earlier predictions of 20 per cent, in Sydney and Melbourne. Westpac chief executive Brian Hartzer has rejected the “doom and gloom” talk. Taking into consideration Sydney and Melbourne's surging house price growth, of 75 and 55 per cent, between 2011 and 2017, Hartzer reaffirmed the “adjustments are nothing to be alarmed about”. While values aren’t falling across every region of the country, Corelogic senior analyst Tim Lawless says it’s clear “even within the areas where values are rising, the market has lost steam”. 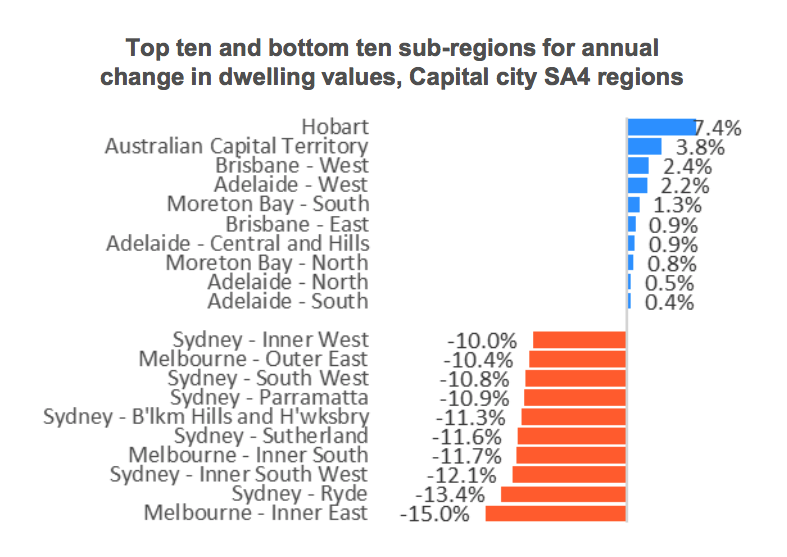 Seven of the weakest performing capital city sub-regions are located within the Sydney metro area, while the strongest sub-region performances, outside of Hobart and Canberra, are located in Brisbane and Adelaide. Melbourne’s prestigious inner eastern suburbs recorded the biggest hit to dwelling values over the past twelve months, down 15 per cent followed by Sydney’s Ryde where values were 13.4 per cent lower, reveals Corelogic. Melbourne's market has fallen 1.6 per cent in a month as housing slowdown continues. 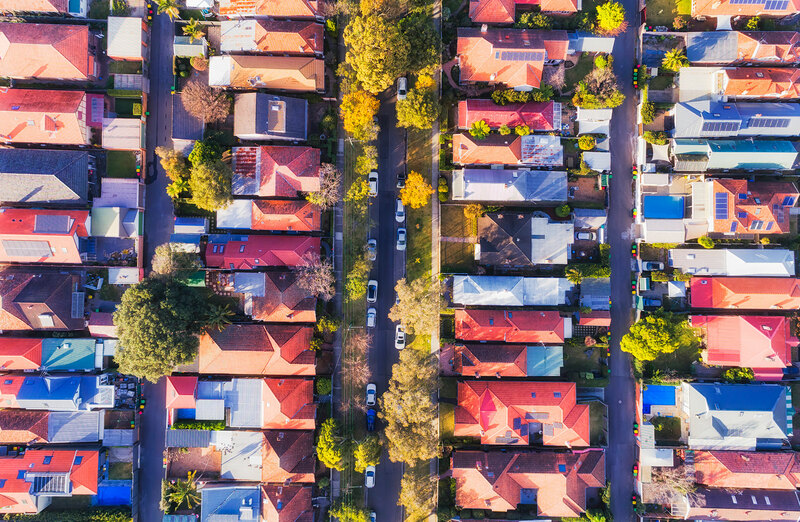 Lawless said the weaker markets are generally confined to the inner and middle ring suburbs of Sydney and Melbourne, while areas synonymous with affordable housing options have seen the reemergence and subsequent demand from the first homebuyer. “The low rate of annual capital gain amongst the top performing sub-regions highlights that even the areas with the strongest capital gains are predominantly recording growth lower than inflation,” Lawless said. The nation's best performing sub-regions outside of the capital cities are mostly located in Tasmania and Victoria.